one thing that i love about blogging, is the people you meet. about 4 months ago, i came across a blog called food thoughts of a chef wanna be. chris is an awesome woman. she has a VERY funny personality and always has me laughing so hard, i mean dying! not only is she funny but she can cook her tail off. we quickly became friends and recently she said, 'let's do a recipe swap!' it was such a great idea. then came the hard part... finding a recipe out of all of her delicious recipes to make. 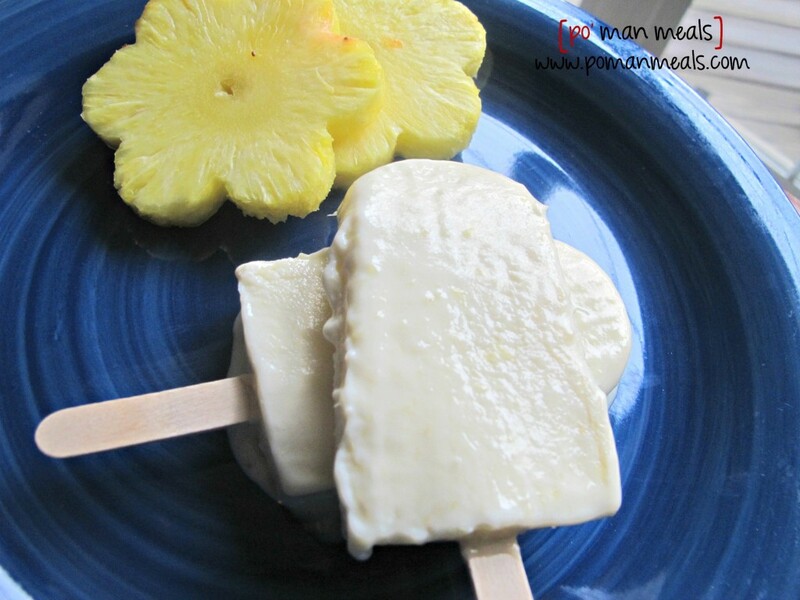 these pineapple cheesecake popsicles caught my eye. i LOVE pineapple and anything cheesecake. it seemed simple enough to make and extremely versatile. i already know i am gonna try it with strawberries and maybe chocolate! anyway, my family loves these popsicles. 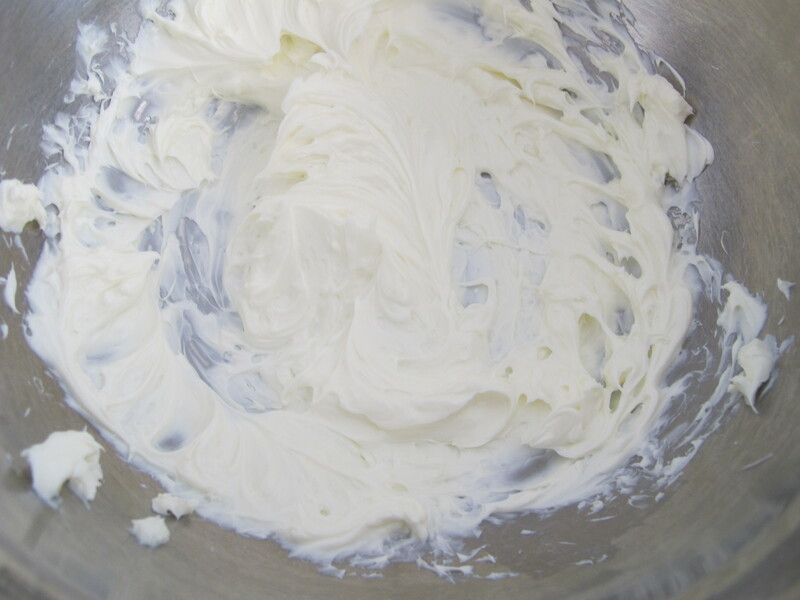 4 ingredients, delicious result. thanks, chris! 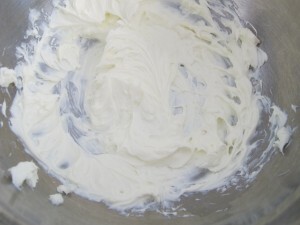 using an electric mixer, blend the cream cheese until creamy. 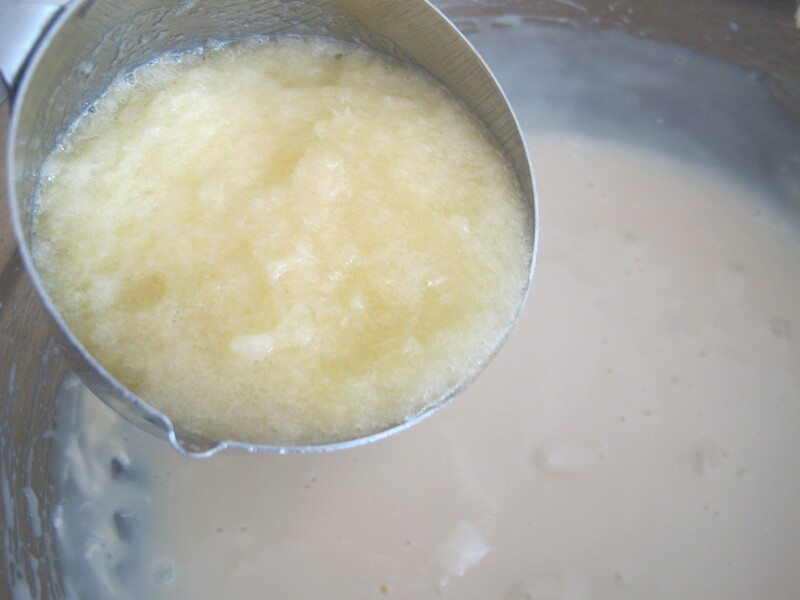 pour in the sweetened condensed milk and continue blending until combined. 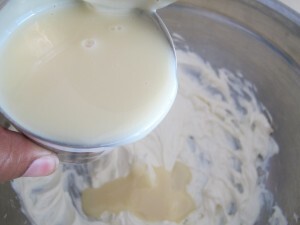 fold in the crushed pineapple and milk until incorporated. 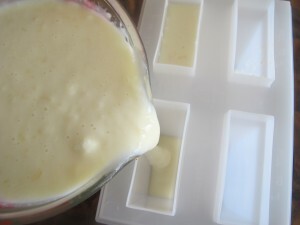 pour into the popsicle molds, leaving about an inch of space from the top. i did not want to use the tops that my popsicle molds came with. i wanted to use the wooden sticks. i placed the molds in the freezer for about 30 minutes until it started to freeze a bit. then put the sticks in the center of the molds and they stayed upright. freeze for at least 8 hours. place under warm water for a few minutes, until they are able to be gently lifted out of the molds. enjoy! Just what I need for our Alaska heatwave! 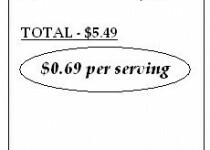 i have everything but the fruit on hand;maybe caramel and chocolate will work?